Kodaikanal Tour package | Kodaikanal Package tour | Honeymoon tour package in South India!!! 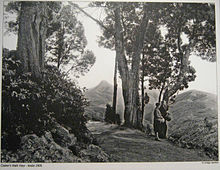 Kodaikanal is located in Dindigul district in Tamil Nadu, India. The name in Tamil means "The Gift of the Forest" which indeed it is for people taking tour package. Kodaikanal is also referred to as the "Princess of Hill stations" and most of its economy is based on the tourism industry which entertains tour package from various cities across India. Since economy of Kodaikanal is predominantly run by package tour, there are at least 50 hotels catering to all categories of travelers and over 30 south & north Indian, continental, western and Chinese restaurants, and many more. The best season to visit Kodaikanal for tour package is April to June. Usually Feb to March & July to September is considered as a low season; October–January is the second best season to visit the Princely hill station. Kodaikanal Tour packages are usually planned for 2 nights and 3 days or 3 nights and 4 days. One can also combine the other popular hill station of Tamilnadu, Ooty along with Kodaikanal for 5 nights 6 days or 6 nights and 7 days. 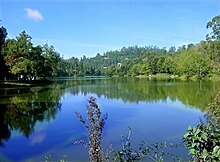 All distances from Kodaikanal are calculated with the lake as the central point of reference. The nearest Railway stations are Palani Railway Station (64 kilometres approx) north, Kodaikanal Road Station (80 kilometres approx) south east and Dindigul Railway Junction (100 kilometres approx) east. Kodaikanal From Chennai: A bus/Train/flight to Coimbatore and from here we pick you up and proceed for the tour. Kodaikanal From Bangalore: A bus/train/flight to Coimbatore and from here we pick you up and proceed for the tour. Kodaikanal From Hyderabad: A train/flight to Coimbatore and from here we pick you up and proceed for the tour. Kodaikanal From Pune: A train/flight to Coimbatore and from here we pick you up and proceed for the tour. Kodaikanal From Delhi: A train/flight to Coimbatore and from here we pick you up and proceed for the tour. The 2 to 3 hours drive to Kodaikanal via the steep and winding Ghat roads from Batlagundu or Palani is a stupendous experience. Travelers may stop at turnouts on the road and enjoy the scenic beauty of the Palani hills.